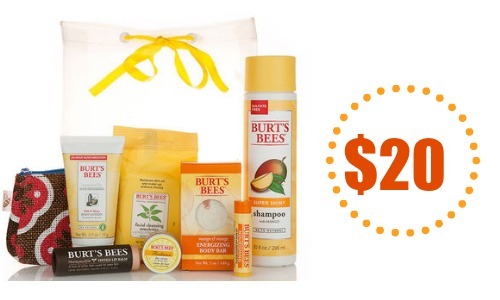 You can get a great deal on the Burt’s Bees Grab Bag! Get the grab bag for $20, regularly $36. This includes (7) of their popular full size products! Celebrate the return of sunshine with ingredients like Mango and sweet Honeysuckle in this seasonal collection. This is a great time to try these products plus you can break them up and make several different gifts too! Offer valid for a limited time. Shipping is $5 or FREE on order $49 or more.